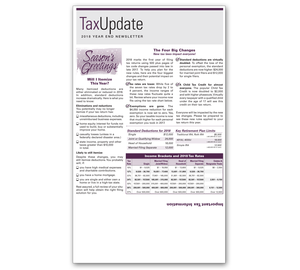 Year End Highlights Tax Changes! 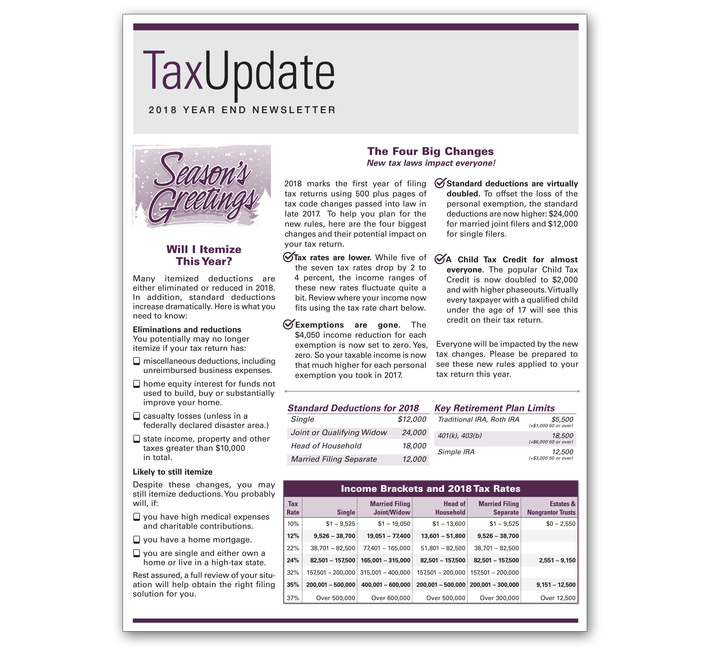 The Year End Newsletter highlights tax changes. 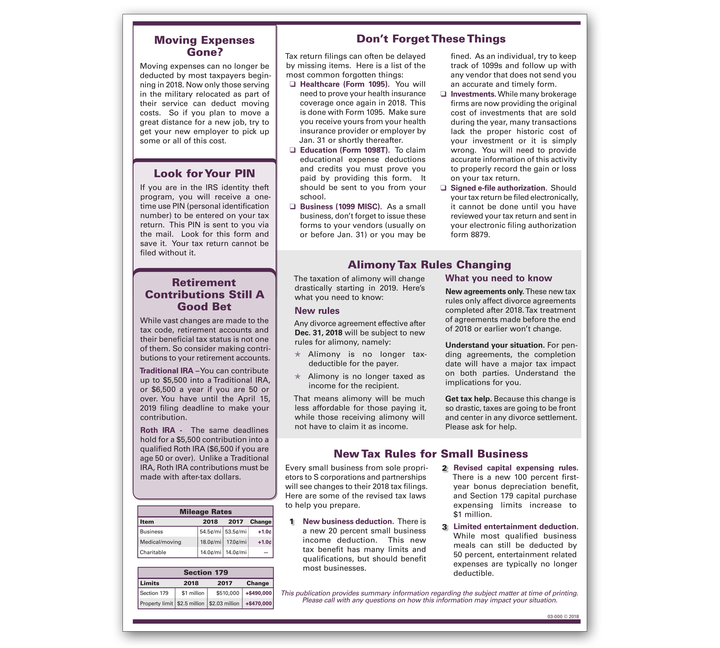 This newsletter helps your practice by: Building goodwill, Increasing referrals, Enhancing your service, Improving your professional image, and retains clients. 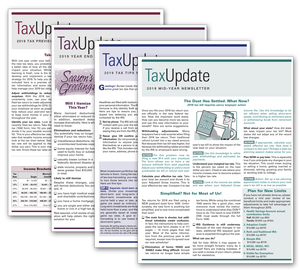 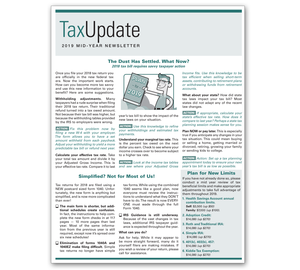 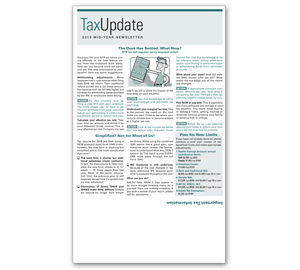 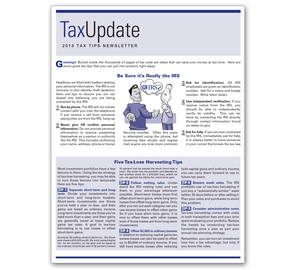 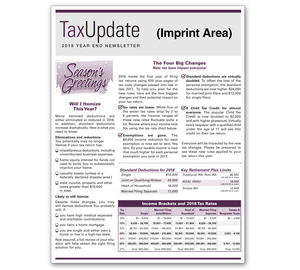 The Tax Update Newsletter ships folded to 8 1/2" x 3 2/3".